This week we’ve lots of girly and pretty finds for you. First up this super cute idea for the little ladies – if you’re looking for a modern take on the petal basket for your flower girl, this DIY style bucket embellished with lace trim and heart detail will make them feel like a right little princess. We love the little details that can make the Big Day that bit more exciting and special – so when we came across this pretty and practical download, we just had to include it. 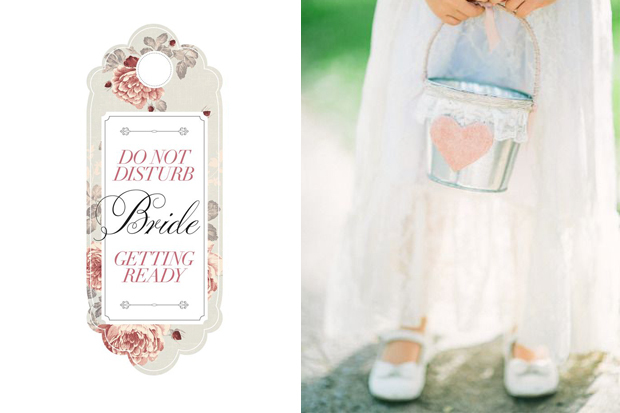 This ‘Do Not Disturb – Bride Getting Ready’ sign will add to the morning excitement with your girls and it costs nothing to make. Download the printable here! If you’re stumped for a gift idea for your soon-to-be hubby or wife, this thoughtful idea may get you out of a pickle. Memeoirs are a company that turn your online chats and conversations from the likes of Facebook, Whatsapp and Email in to a beautiful keepsake book so that you can cherish them forever. It is a gorgeous and romantic way to capture your journey together in print and you get to pop a pic of the two of you on the front and choose the title of your very own Love Story to make it all the more personal. Click here for more details! These ‘Champagne is Always the Answer’ coasters are from Etsy and would be a super fun touch for hen parties where the champagne is flowing. They’ve napkins too – and some very snazzy glitter coasters we want for our apartments! Accessories we’re lusting after this week include this incredible teardrop shaped sparkly headpiece made from sequins, Chantilly lace and embellished with tiny Swarovski rhinestones, these pretty blush shoes with brooch details from Dune and these vintage-inspired stud earrings from Jules Bridal Jewellery, the perfect blend of sparkle and elegance. 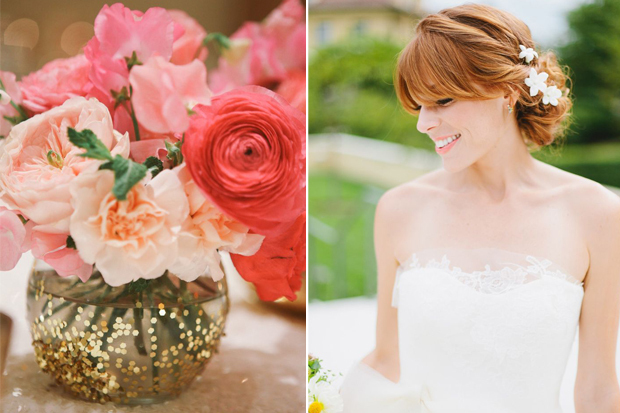 Find the perfect wedding suppliers in Ireland to help you plan your big day!